Pompon Bloemenwinkel - Gifts in Amsterdam. 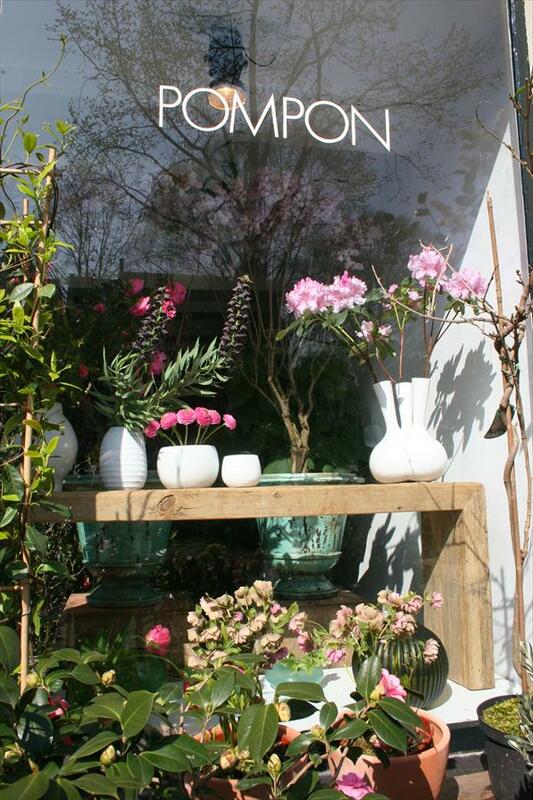 The PS editorial of Amsterdam's Parool newspaper voted Pompon the best flowerstore in Amsterdam. Here you'll find remarkable flowers and original arrangements, pure and authentic. The bouquets are reminiscent of the paintings of the 17th century masters. If you're looking for something special and uncommon, then this is the place to be. Pompon is famous for its hand bound bouquets of wildflowers, with its very own distinguished touch. 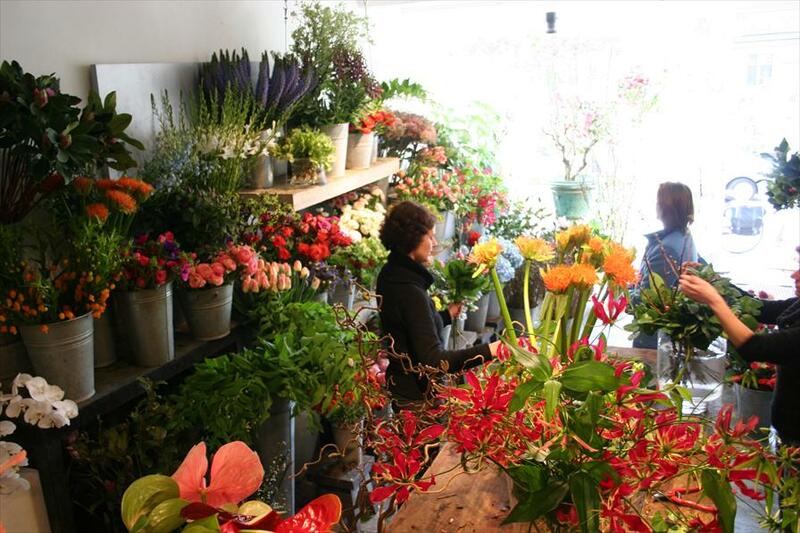 Pompon's policy since time immemorial has been to sell single flowers, and it is a truly specialised store. No wonder the store has been an institution in Amsterdam for over 40 years, and especially so in the Jordaan neighbourhood. However, the enitre nation knows where to find Pomoon, and it can deliver to any location in the country. Also, Pompon offers a wide collection of handmade glasswork, unique vases and ceramic pots, as well as garden furniture by the brand Viteo. Pompon's window displays are eye-catching and representative. The store shows a lot of natural elements, drawing the eye to to the beautiful vases and pots. The store is located on a unique corner of the Brouwersgracht and the Prinsengracht, just around the corner from the popular Noordermarkt. The buildings are very photogenic, and they look like a historical postcard. If you are looking for on-location advice, this is the place to be. Advice ranges from garden decorating, to exclusive garden plants and trees, to decorating roof terraces. Also, Pompon will take care of small and large events on location, for both corporate and private events.